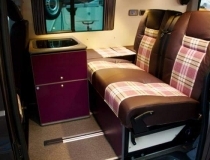 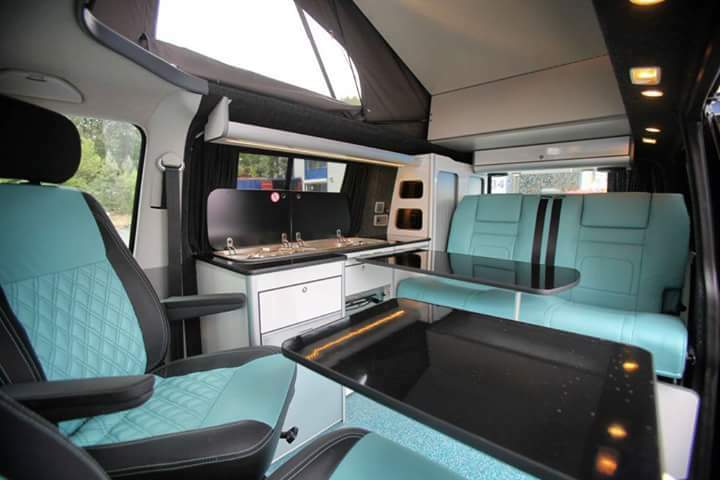 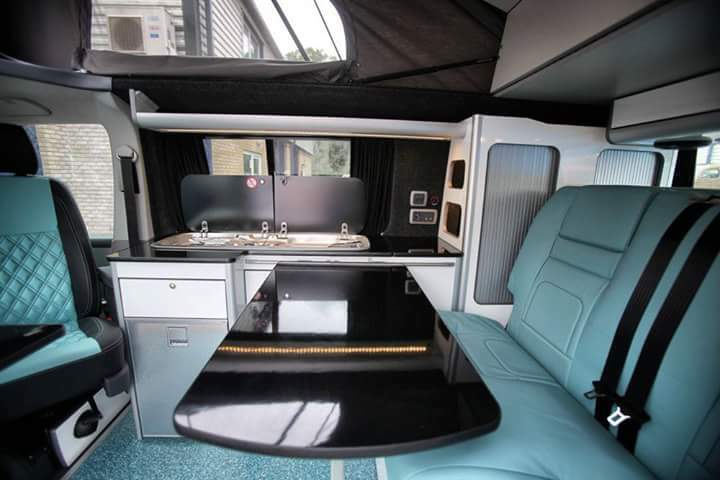 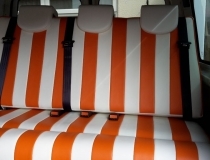 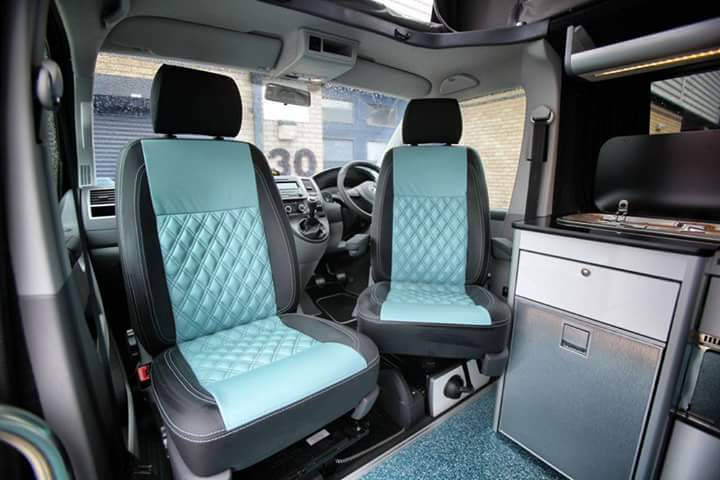 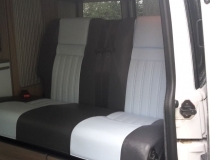 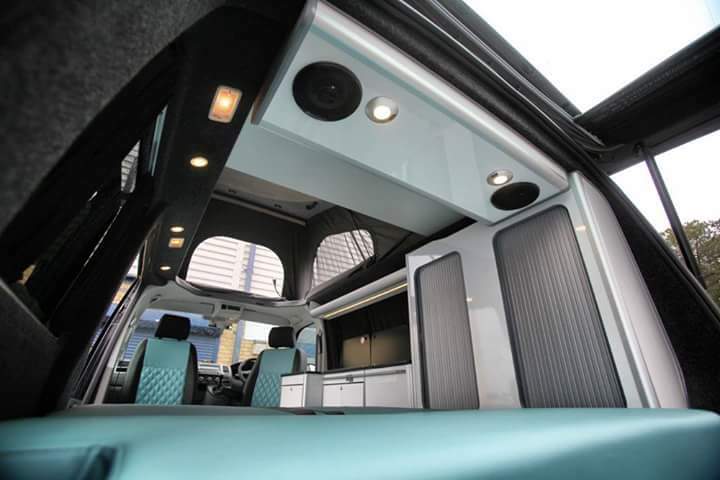 Evomotiondesign Front seats upholstered in a beautiful aqua leather with matching thread. 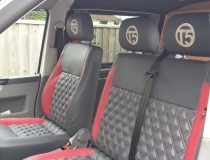 The front seats have raised Bentley diamond stitching. 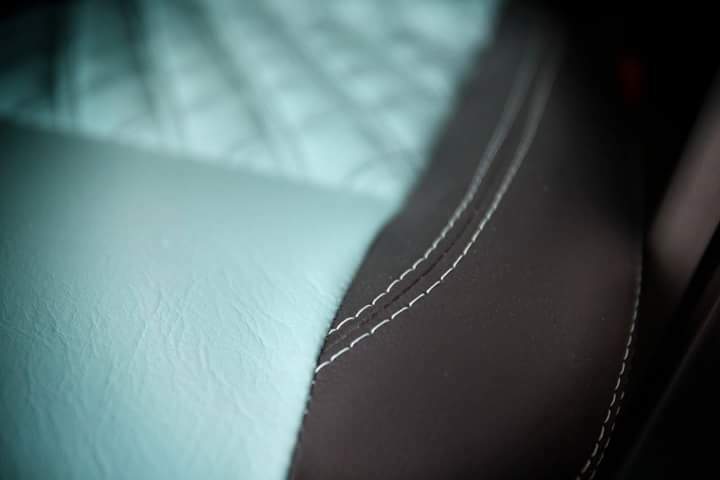 The RIB is also covered in Aqua leather.